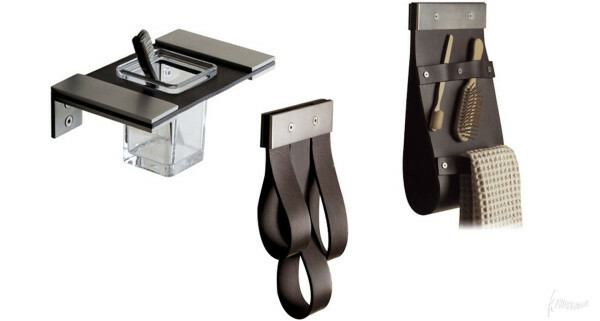 Bathroom accessories in leather, steel and glass utterly made in Tuscany in a craftsmanlike working production. 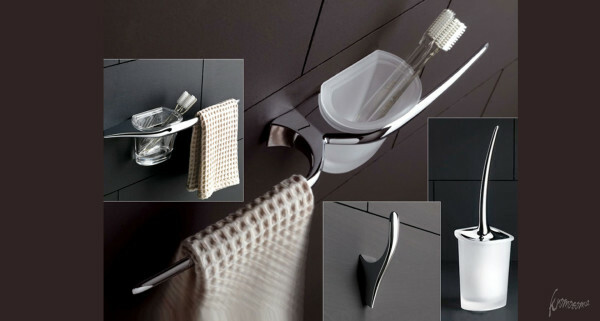 Mu Series of bathroom accessories made of cast metal and glass. Siliconia: series of bathroom accessories.